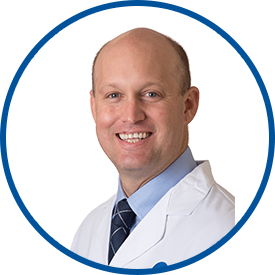 Dr. Illig is a board-certified, fellowship-trained physician who specializes in the non-surgical treatment of spine, joint, and musculoskeletal pain with an emphasis on image-guided interventional spine and joint procedures. He was awarded his medical degree from the College of Osteopathic Medicine of the Pacific in Pomona, CA. After completing his internship at Downey Regional Medical Center, he joined the Rusk Institute of Rehabilitation at New York University for his physical medicine residency. He then completed his orthopedic sports and spine fellowship training at Beth Israel Medical Center in New York City. There he received extensive training in non-surgical management of acute and chronic spine and musculoskeletal conditions including epidural steroid injections, medial branch blocks, radiofrequency ablation, and joint injections. Dr. Illig favors a comprehensive approach to alleviate pain, maximize function and improve the quality of life for each patient. He is affiliated with the Specialty Surgery Center of Connecticut and Stamford Hospital. He is an active member of the Spine Intervention Society, is fluent in Spanish and enjoys surfing, running, and swimming. Dr. Illig is terrific and knowledgeable. he always is available if I have an emergency when I'm visiting from Florida. Dr Illig answers my questions, takes my calls and has an understanding of the complex issues I have. Andrew Illig, DO. made me feel at ease with my pain treatment. Always good all the time. *Dr. Illig is the best & I'm lucky & happy to have him. Dr. Illig speaks in words I can understand! He is a caring, helpful physician. WOW!! He is the best I love his mannerism, knowledge, and the respect he gives. He is always very thorough and easy to understand when explaining the best course of treatment. Excellent physician, knowledge of medicine, and care of patient.